Doughnuts from Curiosity Doughnuts are generally available only two days a week at Stockton Market. Foodie favorite Curiosity Doughnuts will be a part of the new Whole Foods Market in Spring House, Montgomery County, set to open on March 14. 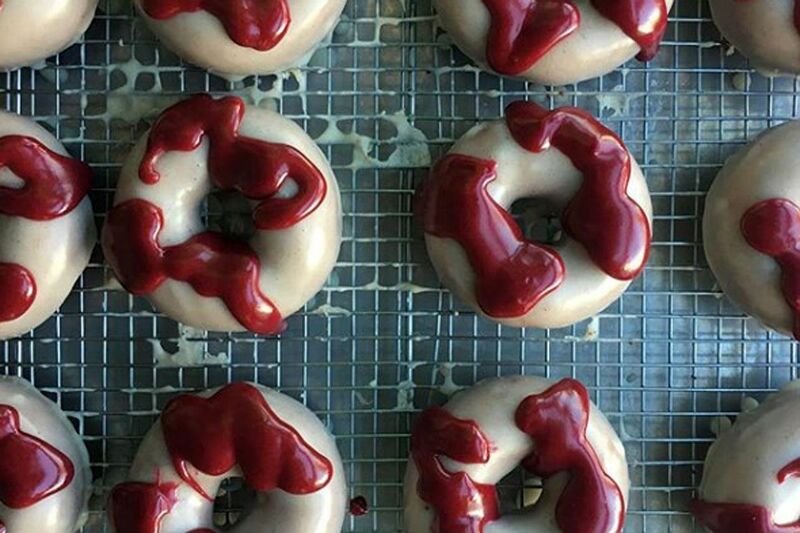 Curiosity Doughnuts, a regular in doughnut fanciers' top-10 lists, are now available only two days a week at the Stockton Market in Stockton, N.J. The company was founded by Ideas in Food's Aki Kamozawa and Alexander Talbot. The Curiosity Doughnuts stand in Whole Foods Market Spring House (in Gwynedd Crossing Shopping Center, just off Bethlehem Pike at Norristown Road) will offer yeasted, super cake and cruller doughnuts made in-store daily, in flavors including cinnamon-cardamom sugar and passion fruit. Doughnuts will be available every day beginning at 7 a.m. and will be sold until they are gone. Whole Foods is no stranger to partnerships with local businesses, as evidenced by its mini-food hall at the Center City Philadelphia store.